I love spending time in London, but sometimes I also enjoy getting away from it all and see more of the UK. 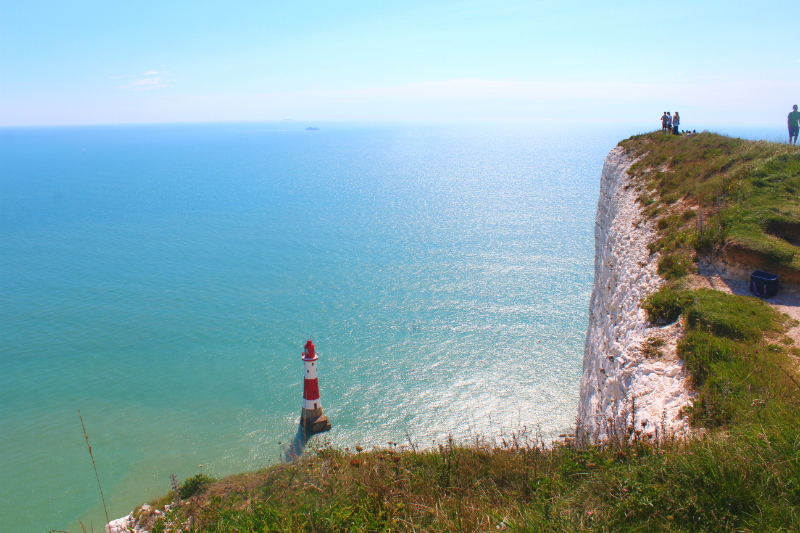 Recently, I came across Eastbourne & Beachy Head at the South Coast of the UK and ever since wanted to go. 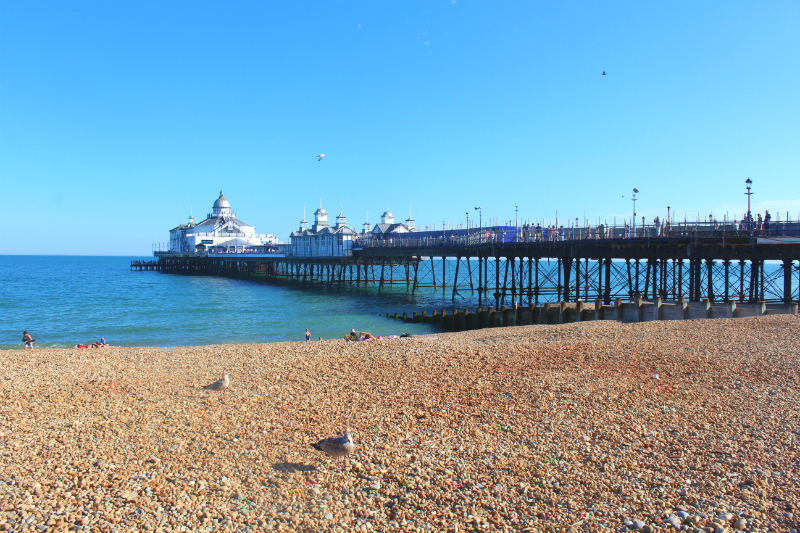 It’s that classic British sea town with a pretty promenade, a pebbly beach and a rather nice looking pier. One a sunny Saturday morning, I made my way to Victoria train station to take the train to Eastbourne and I wasn’t the only one who wanted to escape the city. The station was absolutely packed with people and I’ve had only 20 minutes to go until departure. The queues at the ticket machines were huge, so I already prepared myself to take a later train. At 10:15am, I happily held the train ticket in my hands, but this also meant that I just missed the train… fun times! Another 25 minutes later, I was finally able to board the train and got comfy in one of the window seats to enjoy the views of the British countryside. 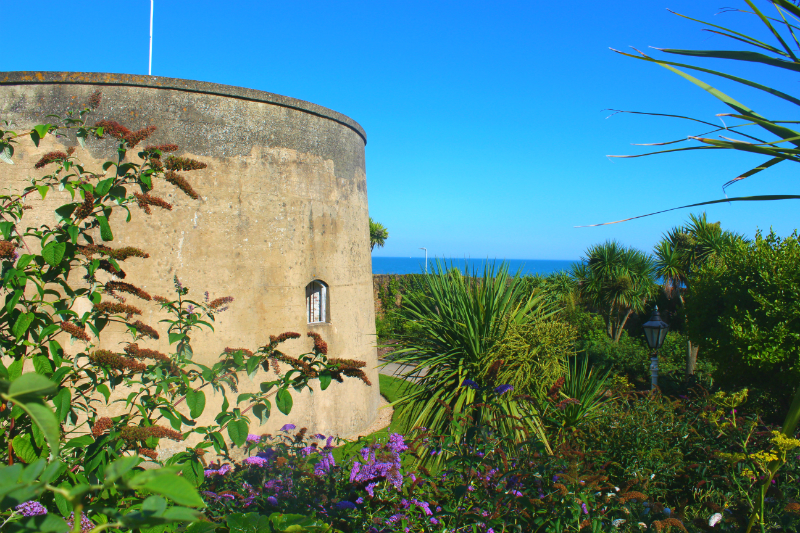 The train ride was pretty unspectacular… 1,5 hours later I arrived at the sunny sea town Eastbourne. The train station is located right in the centre of the town and looks very pretty. 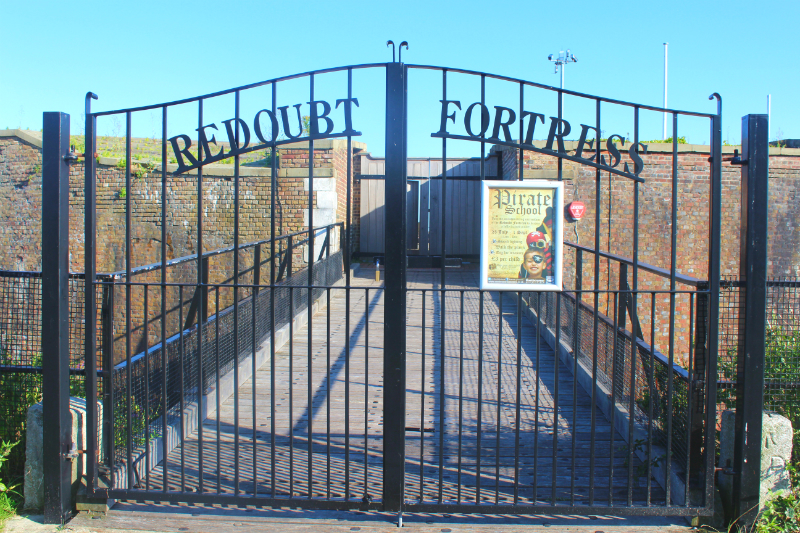 Right outside the station are signs that lead you through the shopping area to the seafront. Ten minutes later, I reached the promenade and the ocean was right in front of me. 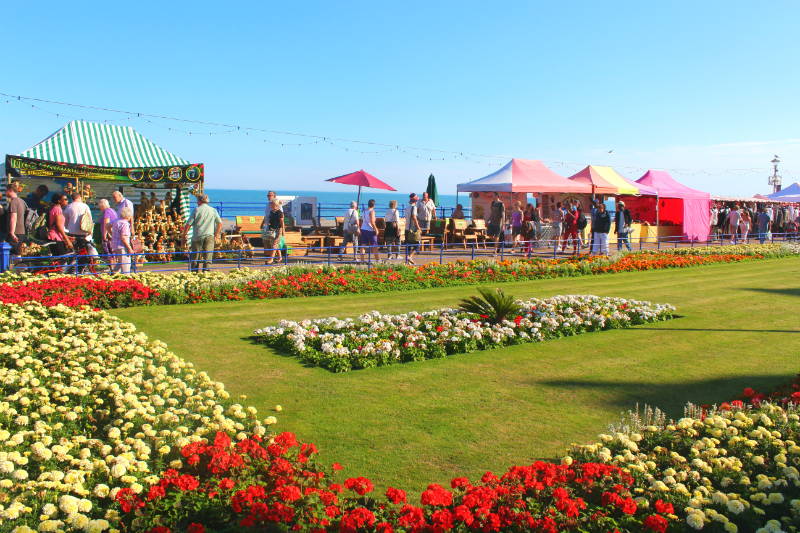 It was very lively with a market taking place and people looking forward to a relaxing day at the beach. Plus I really loved the flower arrangements too! 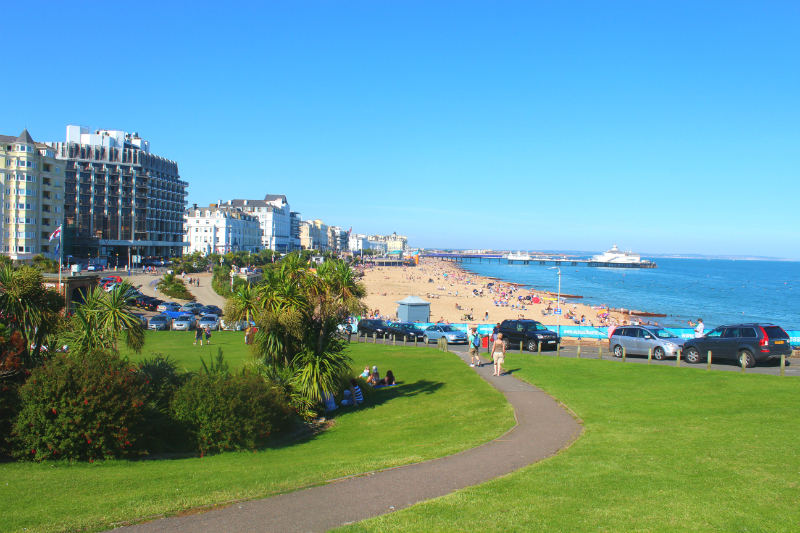 First, I walked all the way to the end of the pier and got some really nice views across the beach and promenade. After I’ve soaked in all the views, I started walking towards Beachy Head which looked like miles away but considering it was such as nice day I just had to take on the challenge. 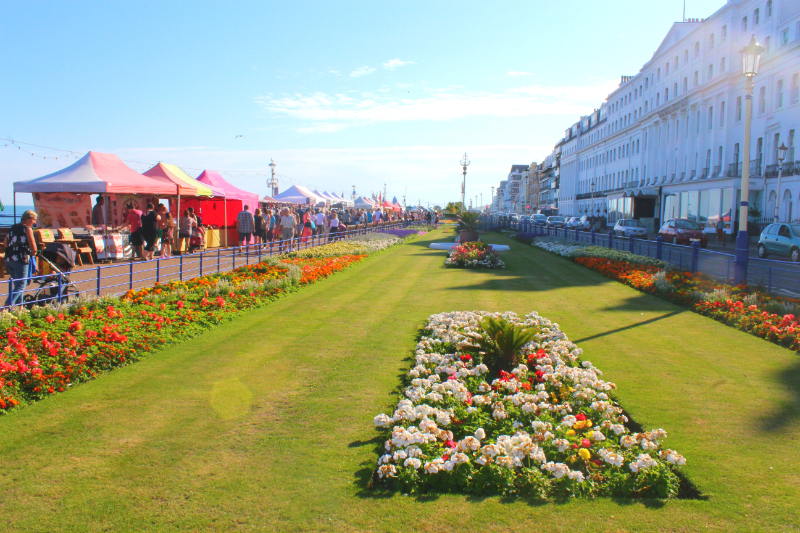 The walk along the promenade is beautiful and I couldn’t believe that I’m still in the UK. It was extremely hot and luckily I brought something to drink and eat because there wasn’t much on the way to Beachy Head. After a 30-40 minute walk, I reached the bottom of the hill I had to climb first to get to Beachy Head and it was steep to say the least. 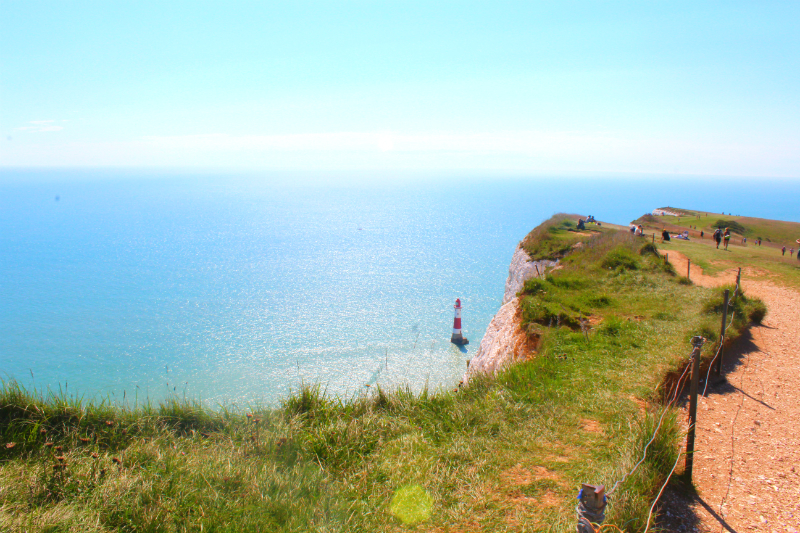 I slowly made my way up enjoying the views every 10 meters and another 30 minutes later I was on top of Beachy Head. I found the perfect spot to have a picnic, so I sat down, enjoyed the views and was very proud of myself that I made it. 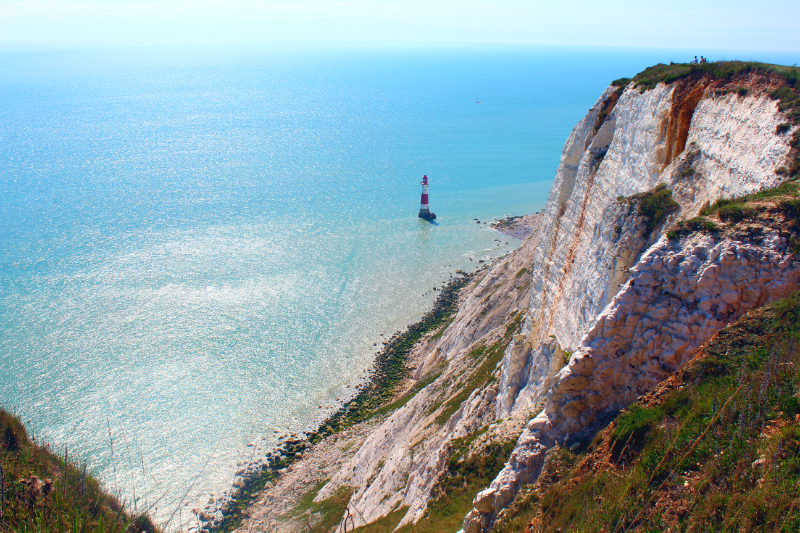 The views over Eastbourne and Sussex are amazing and the massive white cliffs and the tiny red lighthouse are stunning. There are lots of opportunities to take pictures and there’s also a nice pub where you can sit down and enjoy a pint and some food. I could have stayed at Beachy Head the whole day, but decided to see a bit more of Eastbourne. The way back to the town was much easier because it was mainly downhill, so if you feel lazy, take the bus to Beachy Head and walk back (I kind of wish, I had done that). 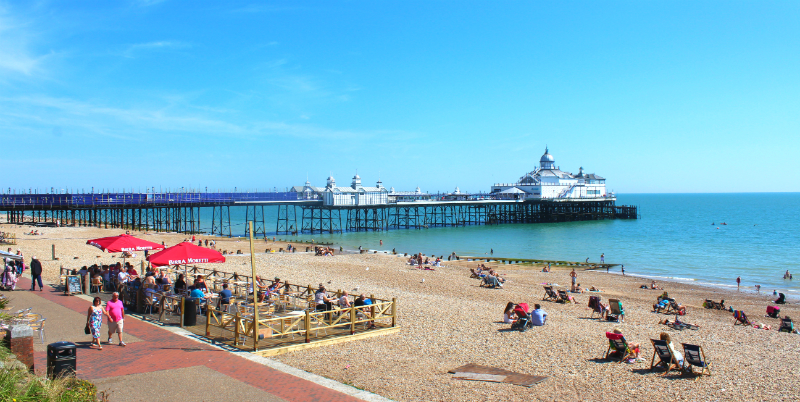 Back in Eastbourne, I grabbed a drink and ice-cream to cool down and enjoy a bit more of the promenade. I walked down east towards the old fortress. It’s free to enter but unfortunately, it was already closed when I got there just after 5pm. I sat down one last time at the promenade before it was time to jump on the train back to London. I really enjoyed spending the day in Eastbourne because it has a nice beachfront and you get stunning views from Beachy Head. 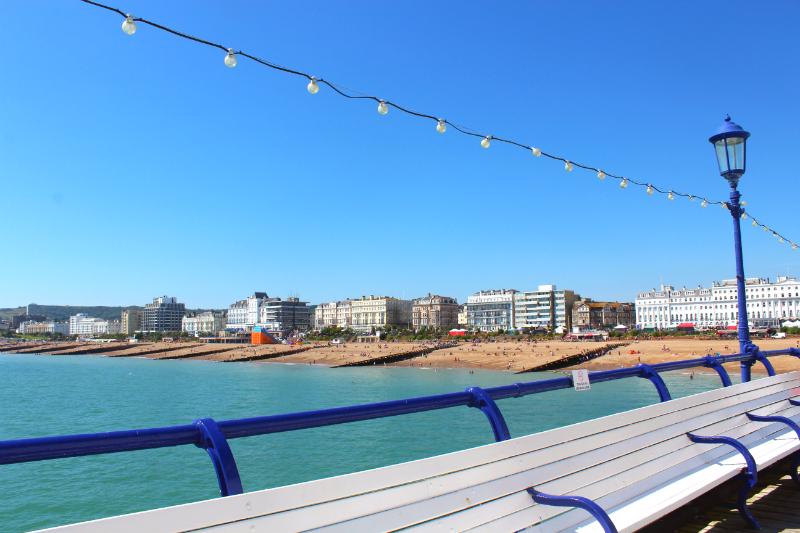 Plus it’s less crowded than places like Brighton which makes it the ideal place to have a relaxed day away from the hustle and bustle from London. 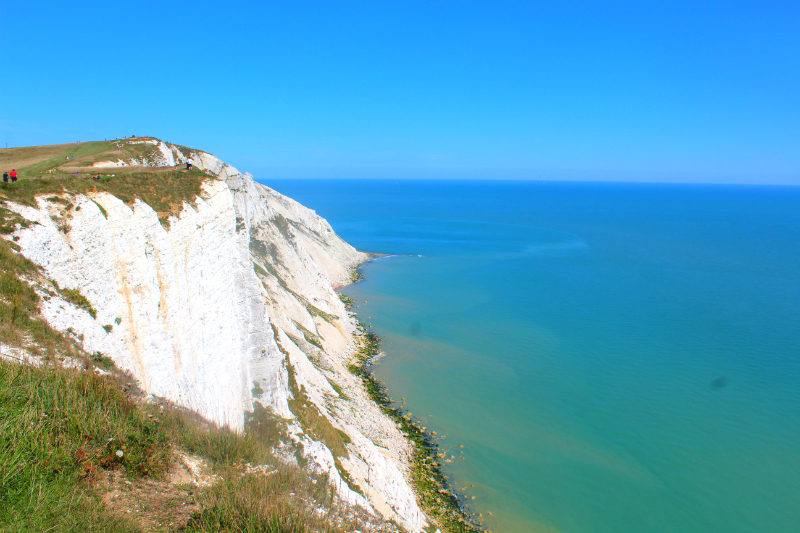 Have you been to Eastbourne or Beachy Head? What is your favourite place in the UK?